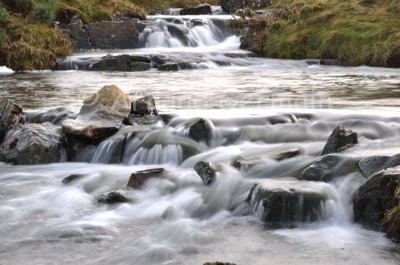 arnaud germain wildlife photography: Stream on the Moors. The moors are a beautiful place in the UK. For quite a few years, we spent parts of Christmas holidays as a family there and it was a tradition to walk on the Moor. On that day, despite a grey sky, the temptation was too great to use my new Gitzo tripod and indulge in a bit of slow shutter speed session. Getting the water blurred is one of my favourite effects. Nikon D700, Nikon 18-105mm VR lens at 62mm, F32, 1/2 s ISO 100, Gitzo tripod.